These are two small neighboring islands which are located approx. 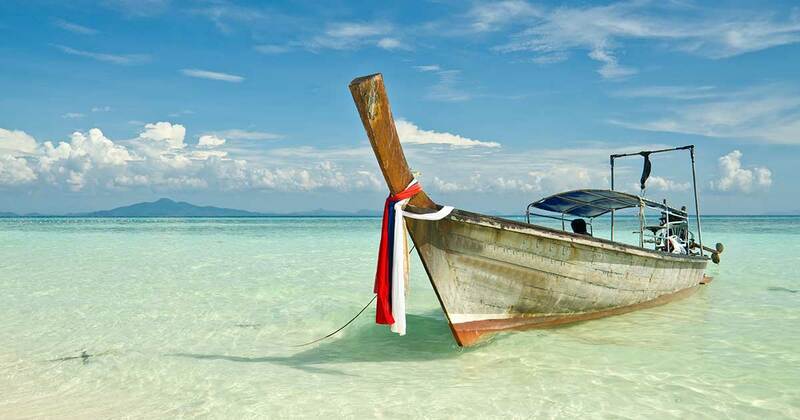 five Kilometers west from Koh Samui’s quiet Southern fishing bays. Koh Tan or “Coral Island” is a primitive island with a small pristine village. The island is surrounded by coral reefs along the white sandy beaches that both snorkelers and sun bathing lovers can join together. This is a perfect place to visit as an alternative to a full day trip as it is so close to Samui but offers all the same exciting activities as many of the other destinations located hours away. Opposing Koh Tan is Koh Matsum, a very remote island with a lavish palm tree lined beachfront. There is no infrastructure here so you are truly immersed in an island lifestyle type culture for the brief amount of time we spend exploring the island. For those who want to discover real island beauty away from the crowds or simply relax in shallow, warm waters of a quiet, natural beachfront location this is the place to do it.